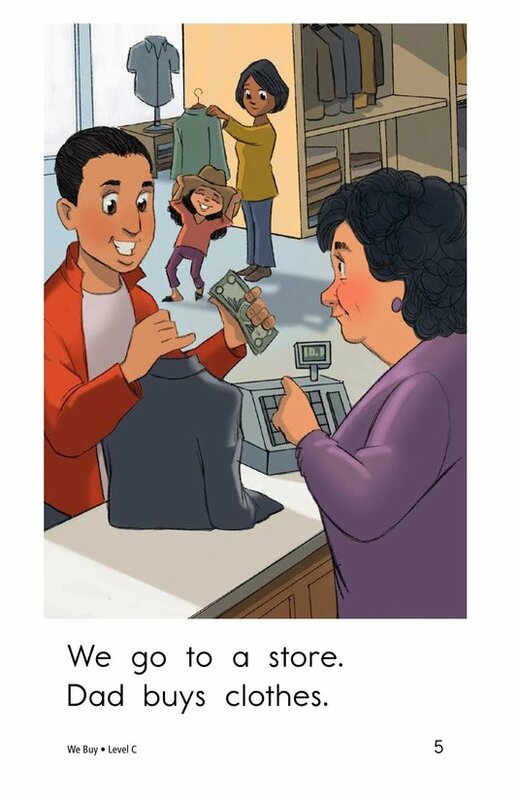 Shopping for new things can be lots of fun. 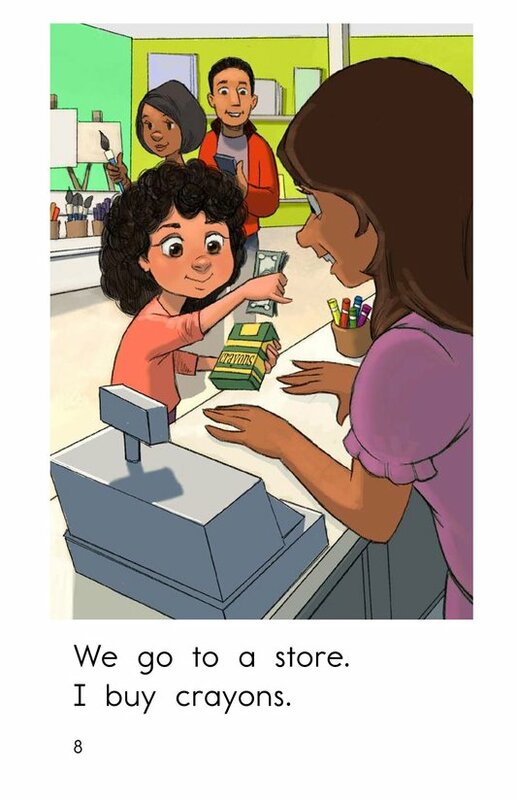 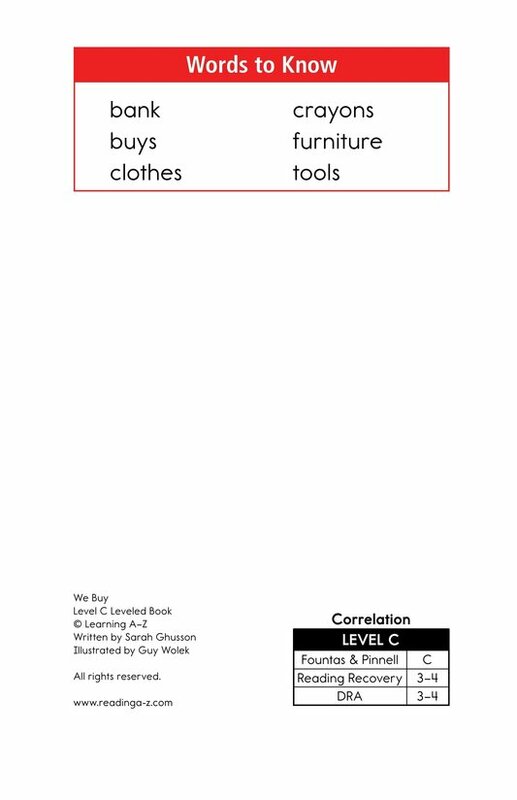 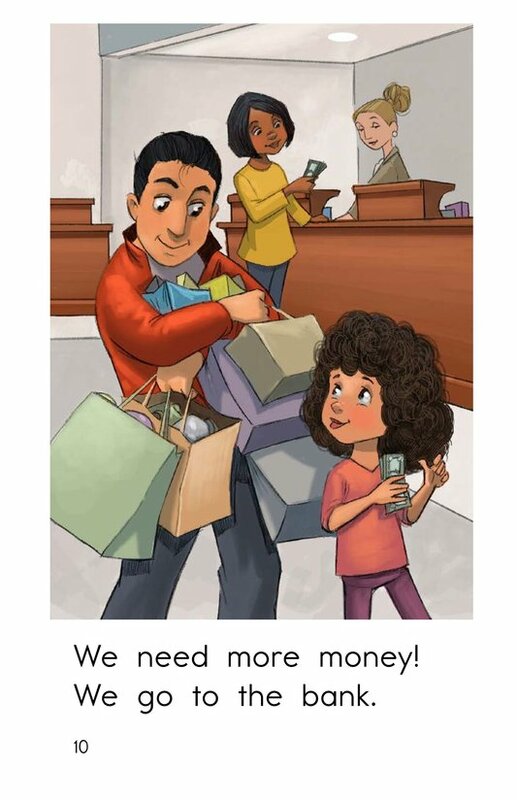 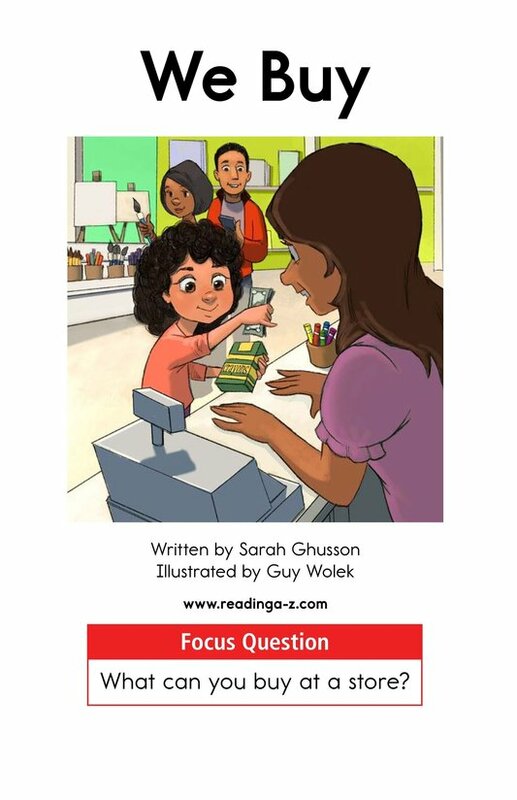 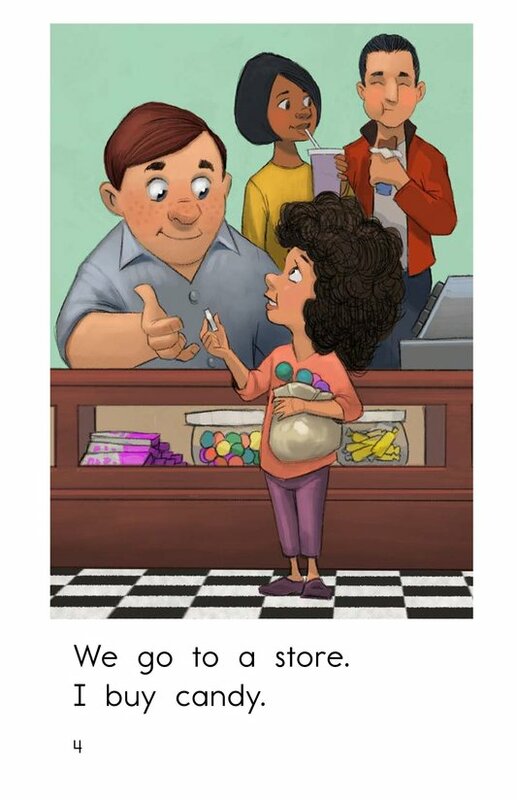 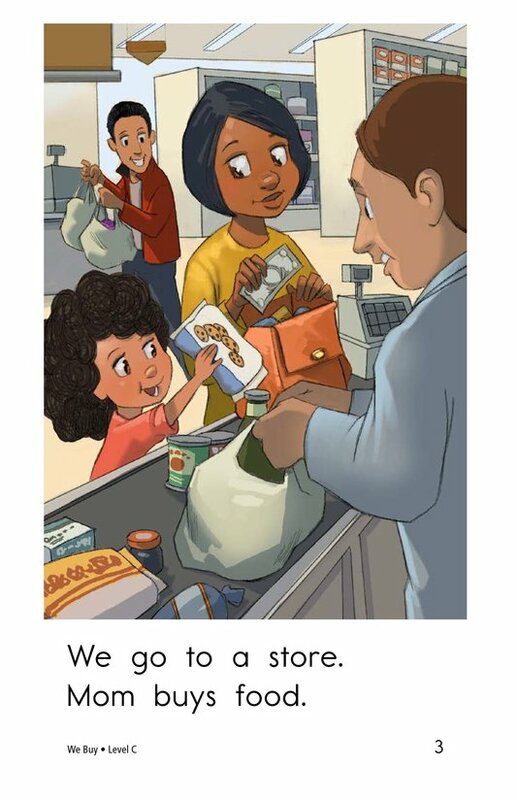 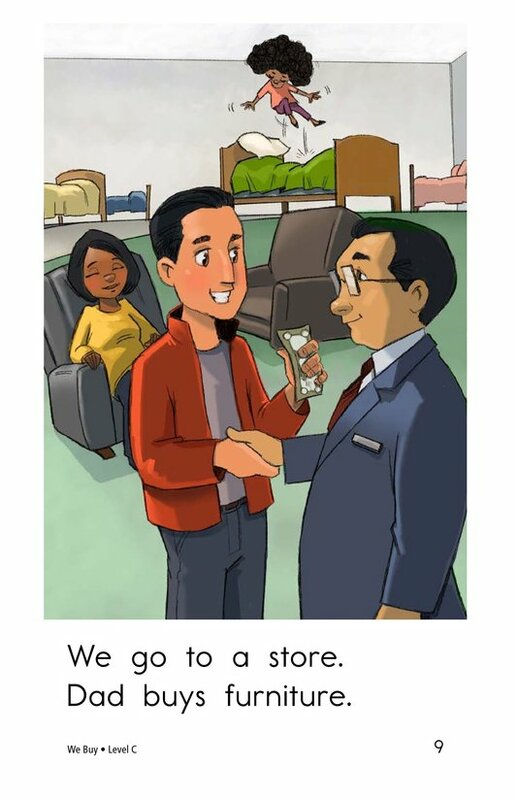 In We Buy, a family spends the day going from store to store buying various items such as food, tools, and clothes. 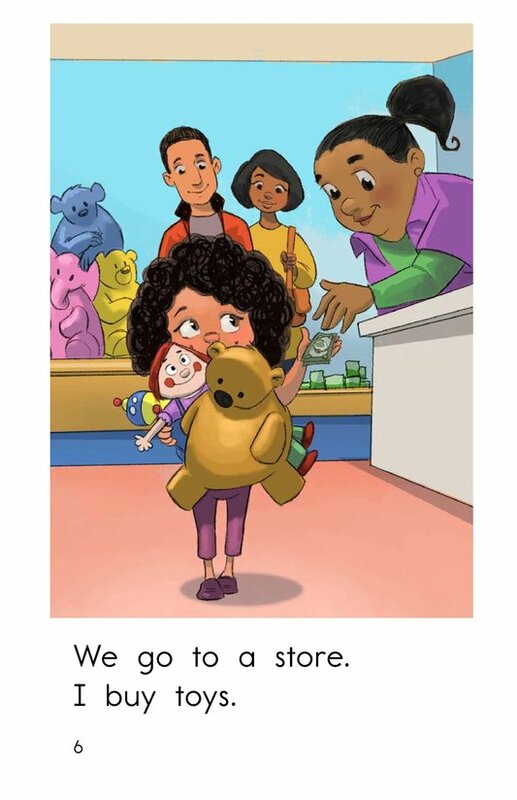 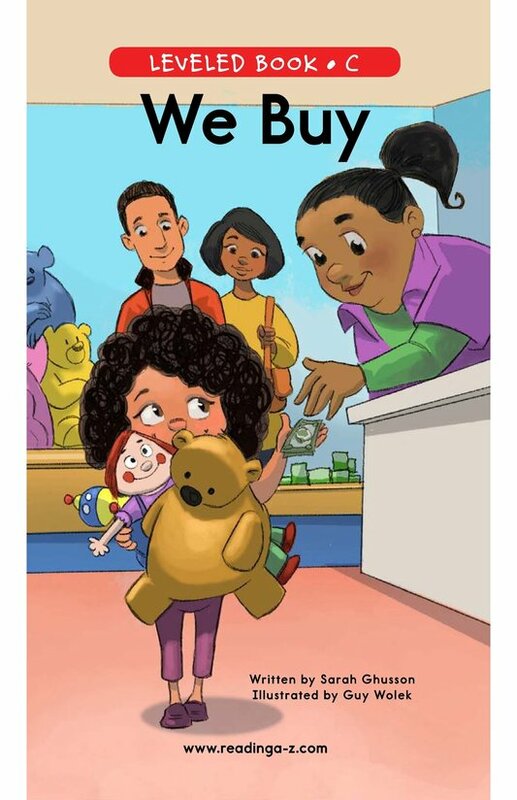 The colorful illustrations, repetitive text, and high-frequency words support early emergent readers. 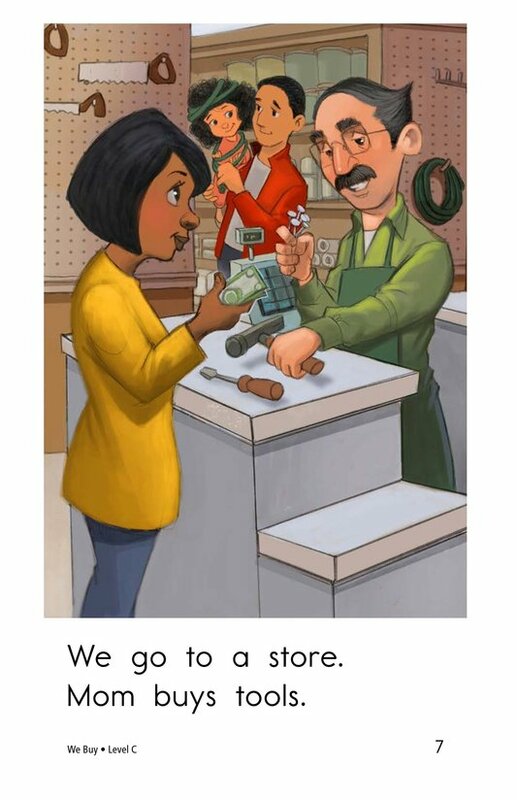 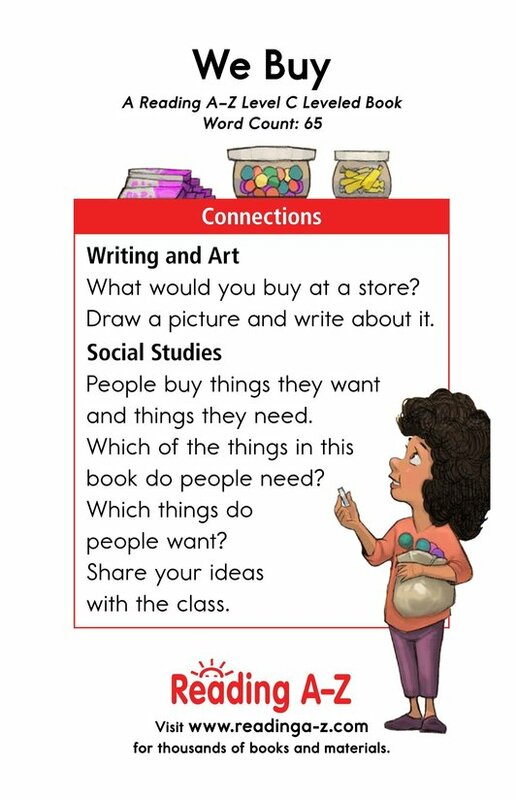 Students will also have the opportunity to connect to prior knowledge while identifying the various settings throughout the story.